We want your business to succeed now and triumph for years to come. We create innovative modules that bring that perfect addition to your web project and get your clients engaged with your business. We manage your office technology assets along with providing web and marketing services, convenient you might say, we say - fair and reliable. Would you like your company listing showing up on the first page of Google search results? We are here to help. We believe you and your clients deserve the best. Our company has been designing a one-of-a kind Alaskan websites, developing custom cloud applications, effectively managing search engine campaigns, and supporting small to medium size networks for our clients throughout the state of Alaska. We are conveniently located and are proud to be in midtown Anchorage, Alaska. No matter how big or small your project is, we pride ourselves on the ability to come up with dynamic, custom strategies utilizing web design, custom functionality, usability and constant support. Alaska Web Design is our niche. We are conveniently located in midtown Anchorage and are proud to work and live in Alaska. No matter how large or small your project is, we celebrate our ability to come up with powerful, bold strategies utilizing alaska web design, custom functionality, usability and dedicated support. 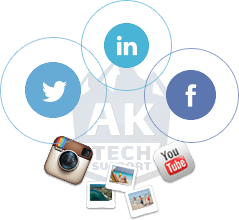 Working with Alaska Tech Support gives you the benefit of the multi-disciplined team on your project. In order for us to come up with a project that is well designed, lighting fast, and most importantly – user friendly, we blend the skill set of our interface designers, network engineers, quality assurance professionals and simply a team that wants your business to succeed now and triumph for years to come.